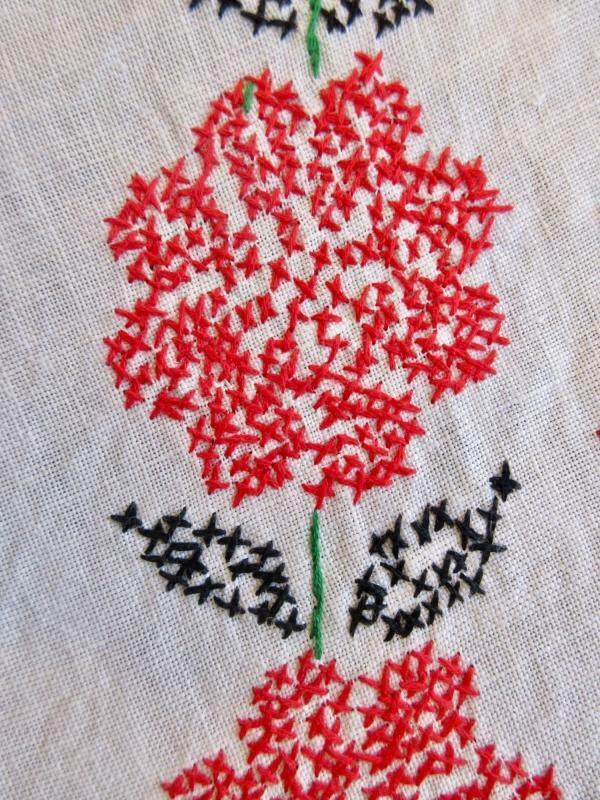 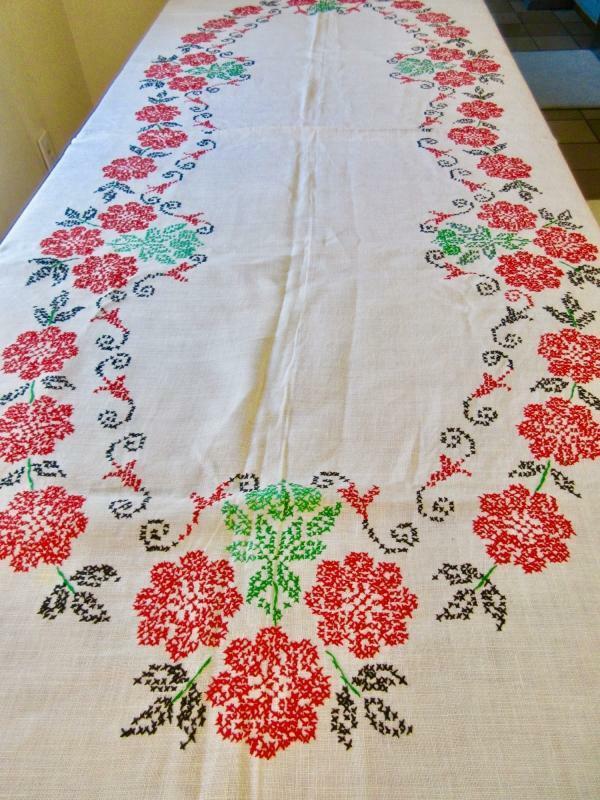 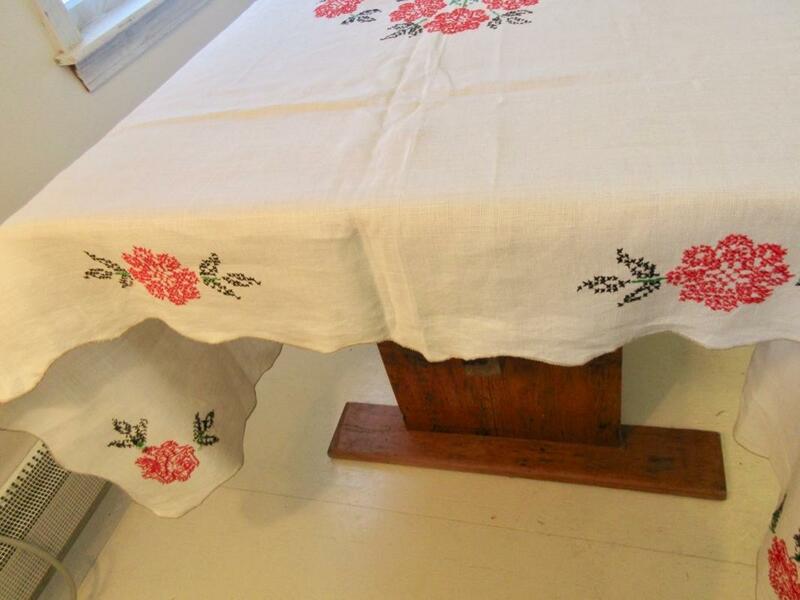 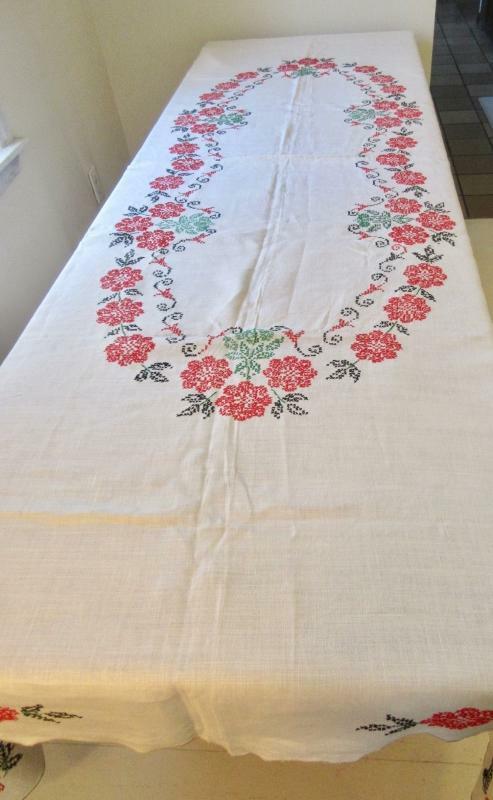 A stunning, hand embroidered ecru linen tablecloth with red cross stitched flowers and green leaves. 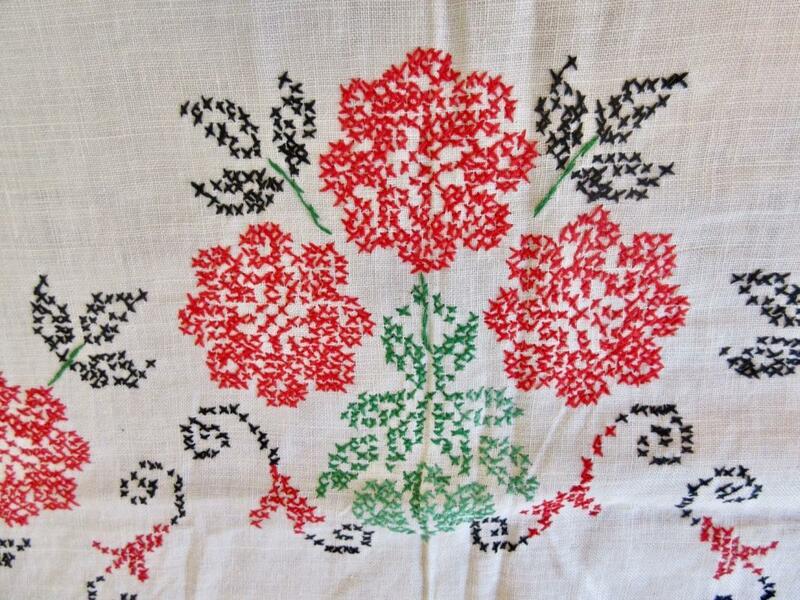 Has a center design with flowers in an oval shape and flowers all around the scalloped border. 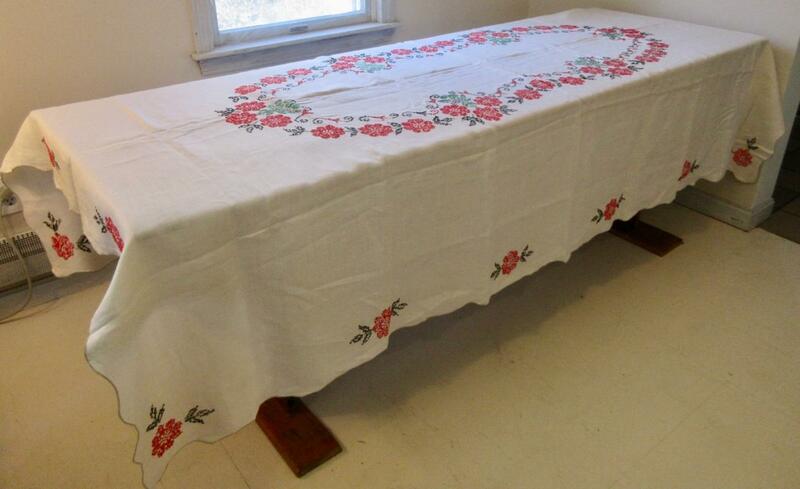 In near mint condition, no holes, stains, damage or repairs. 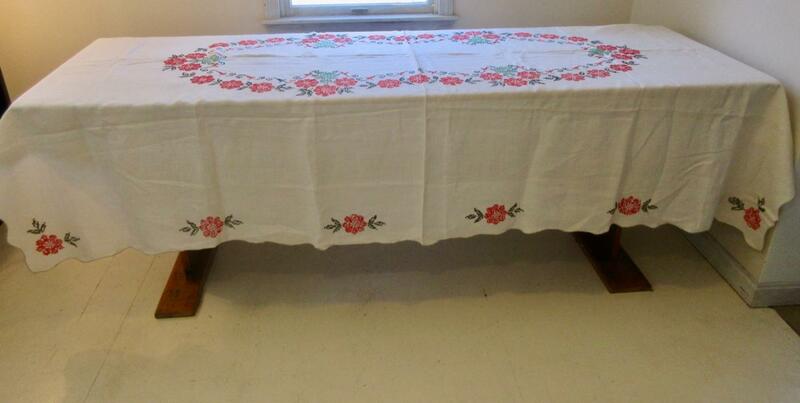 Note: Our photo was taken on a table that is 98” long x 29” wide.